For their Summer 2010 campaign, Mosley Tribes teamed up with LA-based multi-media group, The Social Trust, to create a featurette documentary, spotlighting the region and the characters that inspired the brand this season. This 15-minute short will focus on the art-centric metropolis of Santa Fe, New Mexico, a scenic wilderness wonderland influenced by local Native American culture. The color selection of laminates, lenses and textures used in the Mosley Tribes 2010 Summer/Fall collection reflect the region and some of the enigmatic personalities who call New Mexico home. 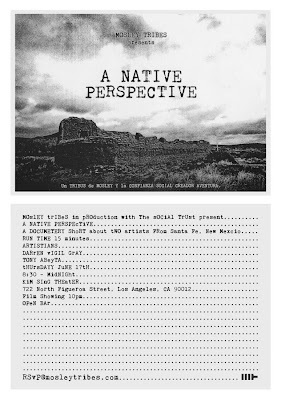 Highlights include interviews and commentary with artists of Native American descent who reside and work in the area. Darren Vigil Gray, a prominent artist renowned for his abstract landscapes and portraits, allows the Mosley Tribes team exclusive access to his studio to observe and document some of his creative process. Also featured in the film is renowned contemporary painter Tony Abeyta incorporates bold colors, rich textures and representations of Navajo deities in his work. Both share thoughts and stories about the history of their craft and discuss how the Santa Fe region affects and inspires their work. 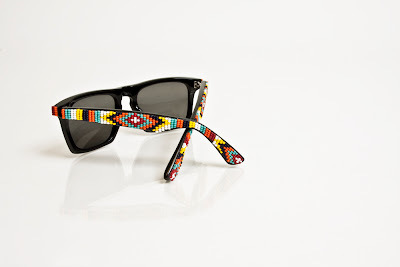 Inspired by the elements of Native American arts and culture, Mosley Tribes proudly presents the newest addition to the Lyndel sunglass category: the limited-quantity hand-beaded Lyndel hits stores in July. 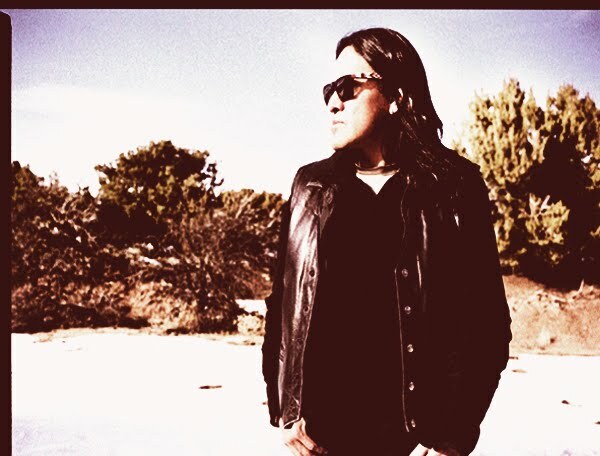 Native American artist Darren Vigil Gray in the Lyndel Beaded edition behind his studio in the outskirts of Santa Fe, New Mexico. 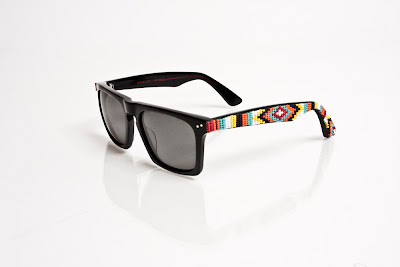 Patterned after Native American hand woven blankets, both temples on the black Lyndel are individually hand laid using brightly colored ceramic beads. The frame design is retro-inspired in an angular plastic cut. The keyhole bridge accentuates the softly contoured lens shape while the frame front sports retro pin detailing. Hand beaded by Jenny Dayco, the former graphic designer and talent agent is self-taught in the art of jewelry designing and works instinctively from the gut while her hands brilliantly produce each and every single piece. “I just love making things that are insane and fantastic, pushing my own understanding of beauty and adornment on the body,” Dayco gushes. “I love creating pieces that make people feel confident and bring them joy.” The Beaded Lyndel will be produced in limited quantities and will be available at exclusively at Oliver Peoples Boutiques at Sunset Plaza and Soho and select stores nationwide July 2010.